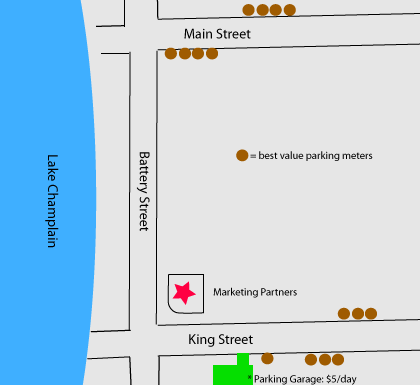 Metered on-street parking is available on both sides of the surrounding streets. 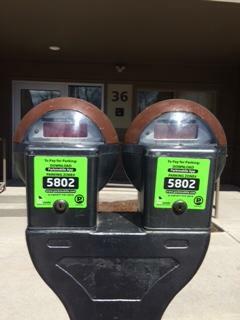 The best value meters are brown, and provide 37 minutes of parking for 25¢. The location of brown meters are noted on the map below. We keep a bowl of quarters right inside the front door in case you need them. The parking garage on King Street is private, and tokens are sold in the garage.